So, you have purchased a new DSLR and have started learning how to use it. You are enjoying the manual controls, the depth of field, the ISO settings and whatnot. Most beginner photographers automatically assume that the DSLR is some magical piece of device that miraculously produces perfect images by reading your mind. That’s not the case, even if you get the most expensive DSLR out there. However, you can enhance your photography skills by understanding the endless horizons of the photography world and by adding a touch of different accessories to your kit. To get the most out of your photography or help you take better shots, there is a plethora of accessories available for every type of situation and need. You can get the ones which you feel is a necessity for your work. Here we gathered Best Sony A6500 Accessories. Imagine you are in front of a scenic view and your camera shows “battery low” indication on the screen. Here comes an extra battery into play. 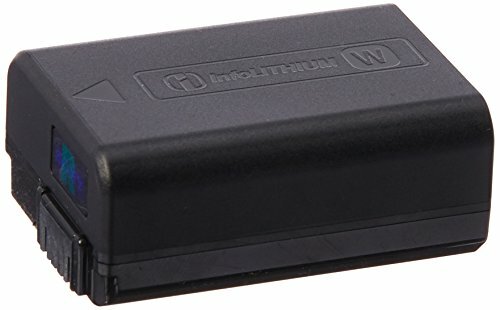 An extra battery is one of the most important camera accessories that is extremely useful when you are traveling and don’t have the resources to charge your existing battery. Carrying an extra battery is a must if you are into videography as it consumes a lot of battery power. The Sony A6500 is powered by Sony NP-FW50 Battery and it’s recommended that you should opt for the official Sony batteries instead of the unofficial batteries available in the open market. The reason is the official batteries are of high quality and last for a longer period of time, unlike the non-Sony ones which contain a higher risk of failure and are made using the low-quality material. A fully charged battery can allow your Sony A6500 to take around 400 shots. The pop-up flash of the Sony A6500 comes handy when you want to add a little fill-in light to your images. It can add sharp shadows and flattens out your subject plus, you can always change the ISO rate as per the condition and catch more light to brighten up your subject. However, there are also times when your subject might move too much causing ghost-like subjects instead. Here comes flash Speedlite into play which has greater power and adds a cleaner look with soft lighting to the photos. 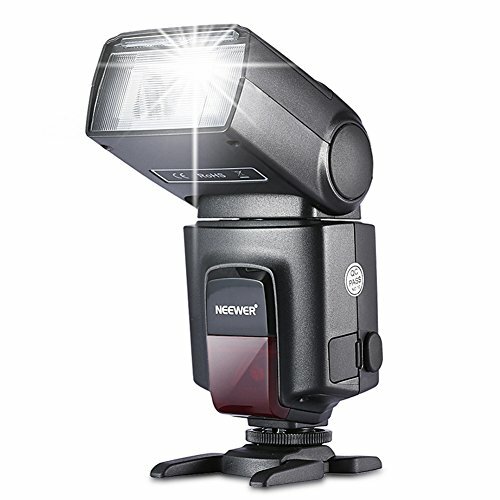 For our Sony A6500, the Neewer TT560 Flash is perfect and is one of the most crucial camera accessories as it could be used with all Sony cameras and a bundle of other cameras as well. It comes with a built-in diffuser and a bounce card and has a pretty simple operational procedure due to which everyone including the beginners could use it easily. It has a vertical rotation of 0-90 degrees and a horizontal rotation of 0-270 degrees. It has a guide number 38 at ISO level 100 and features 8 steps of power levels. The memory card is an important piece of camera accessories for any photographer. Nowadays cameras do not come with built-in storage so you must have an external storage in the form of memory card to store your images and videos on it. There are different types of memory cards available like the SD (Secure Digital), SDHC (Secure Digital High Capacity) and the SDXC (Secure Digital Extended Capacity). Moreover, the memory capacity on the card is also important to consider as per your usage before making a purchase. The speed of the card is also another factor to look as there are cards of different classes available. If you shoot a lot of HD video or need speed with a high-resolution camera, you should use a Class 10. 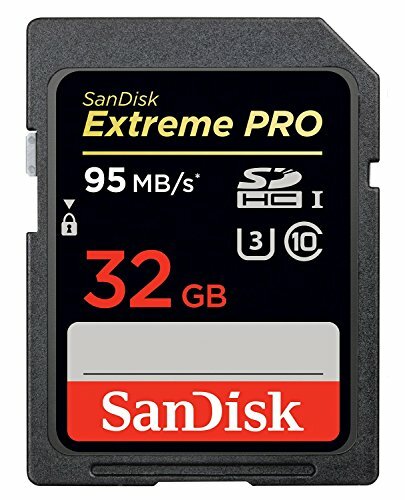 For our Sony A6500, the recommended memory card is the SanDisk 32GB Extreme Pro UHS-I (95MB/s) as SanDisk is the most reliable brand in this department. This card is fast enough to take shots in continuous shooting mode as you would not have to wait for the card to write the files. An extra memory card is the cheapest accessory one could purchase from this list yet it is the most important as well if you take a lot of pictures and videos. It is x-ray proof, waterproof and shockproof making it a good choice over other brands. There is a misconception among many people about the tripod stands that they are nothing but an extra piece of accessory which is bulkier and only helps us to stop camera shake. In reality, a tripod is one of the most important pieces of accessory which allows you to take high-quality photos and videos. It allows you to get to your desired level and stay at that level and since it is absolutely still, there would be no chance of getting blurry pictures because of camera shake and whatnot. Another great benefit which a tripod stand could offer is panning. Panning is a lot easier when you can keep your camera steady while you turn it to follow an object in motion. Moreover, a tripod stand allows you to position your camera from just inches above the ground to way above eye level, allowing you to add a variety in your images and videos. 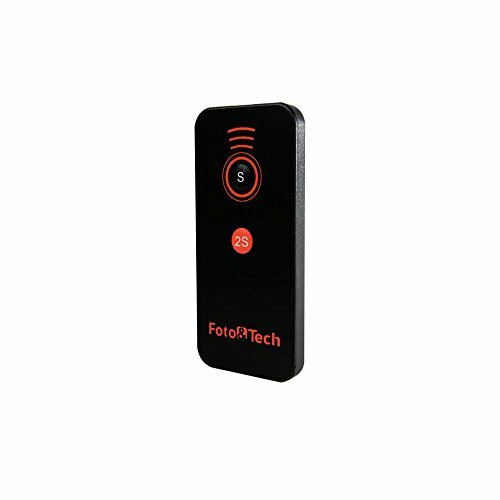 It is one of the most critical camera accessories and should be a part of your camera kit. For our Sony A6500, the Dolica AX620 62″ Tripod and Ball Head is the perfect tripod stand. It can support a maximum weight of 13.2 pounds whereas the Sony A6500 with a battery is only 1.54 pounds. 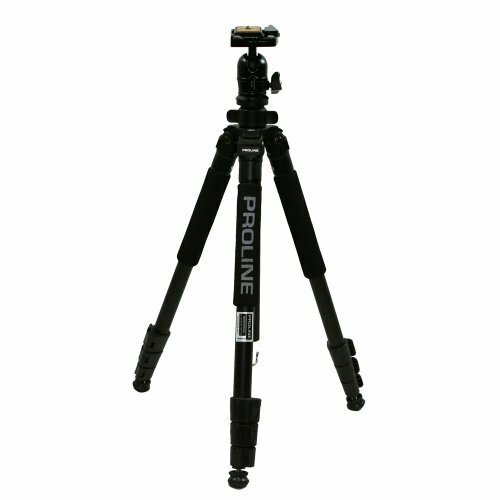 The tripod stand itself weighs 2.5 pounds and is 22.5 inches tall when it is fully collapsed. The maximum height when fully opened is 62 inches. There is a ball head plate and a bubble level as well in this tripod stand. A reflector is a tool that helps a photographer to manipulate the light by providing another surface for the light to bounce off of. For instance, if you are shooting at sunset, the light that bounces off the reflector will have that same orange hue. It is important to understand that the reflector does not enhance the already present light in the scene. The light bouncing through a reflector will match the quality of the light that’s in the scene. The Neewer 5-in-1 (43″) Collapsible Light Reflector is the perfect reflector disc to be used with the Sony A6500. 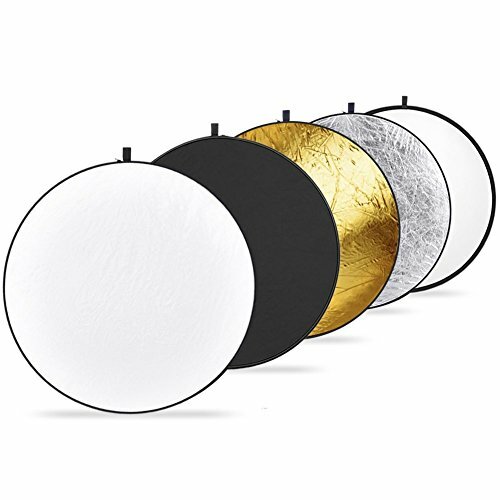 It is a pack of five collapsible multi-disc light reflectors. The five colors are translucent, silver, gold, white and black. The colors are used according to the situation. For instance, Gold produces a natural, golden warm effect that is perfect for sunsets or indoor portraits. White creates a balanced, neutral-colored bounce light that works beautifully as a fill light source and silver can increase highlights and yield a high-contrast image. It is easy to carry around and comes with a carrying bag at an affordable price. A shutter remote control comes extremely handy when doing wildlife photography. This is because most animals are scared of humans and leave their natural habitat whenever they saw a human. Therefore, to capture an animal in its natural habitat, a remote shutter will do the job as you can capture the photos without touching the camera. Also, if you are using a shutter remote control, the camera would not lose its stability. You can use this piece of accessory in places where your camera can go but you cannot and take some of the most amazing images and videos. The Foto & Tech Wireless Shutter Remote is a good choice for the Sony A6500 as you could use it within a distance of 50 meters. It gets the work done when you are doing single, burst or bulb shooting.